Will Google Glass help Google+ to kick Facebook to the curb? How’s Your Facebook “Look Back”? I am now embedding news from my Google+ stream into the Weekly Marketing Skinnies.  Other than keeping up with marketing news of the week, I’ve been doing a lot of post updating at Traffic Generation Café. Plus, I’ve repurposed some of my [awesome] content into Slideshare presentations, following my own advice on leveraging your existing content. Want some? I don’t blame you. See how I did it. By the way, if you’d like to embed this presentation into your future blog post (instant content for your blog with minimal work on your part), just hover over the top right corner to get the embed code. For those of you following my Slideshare wows (my account was suspended and deleted without any explanation – details in my Slideshare Traffic post), I am happy to report all is well: I beat them to death with endless emails until they had no choice but to reinstate my account, all views, and all uploads. YES! On that happy note, I was finally able to publish my Skinny Notes on the latest SEO Guide for non-SEOs – for those of you who thought that some 5,000 words was too much to digest (wooses!). This is a highly recommended listen for anyone who wants to grow their search engine traffic. What are your traffic generation wildest dreams? an excellent roundup, this week I was pretty active on the social media – so most of the stuff, I already knew about. anyway, I have a suggestion for you – for posts like this. I like the way you have given a small introduction at the top. So, why not link that introduction points to the places where they are in the article? For example, – “Google Sends Manual Actions For Rich Snippet Spam” – why not link it to the section where it is explained in the article. Good suggestion and I thought about it before. However, can’t quite figure out how to do it from technical standpoint. Suggestions? Much appreciated; will take a look. This is another exciting and interesting list of curated posts! The news and articles for this week are indeed catchy! You’ve given us a LOT of matter to go through, and I’m glad these posts come up on the weekends so that we have those 1-2 days to go through the ones we like. I like your new idea of embedding the G+ posts here too. Thanks so much, Harleena; always a pleasure to see you at Traffic Generation Café. Have a blessed weekend as well!